Our first Patron, The Rt. Rev’d. Bernard Markham, of England, Lord Bishop of the Diocese of Nassau and The Bahamas, was consecrated in 1962. The Church of England and many other parts of the Anglican Communion had a very large and powerful international women’s organization called “Mothers Union”, whose main focus was the home and family life. When Bishop Markham came to The Bahamas, he was surprised to learn that there was no organization in the Diocese for women, men and young people. Bishop Markham decided to establish the Anglican Church Women in November 1963, with ladies of Christ Church Cathedral. Women were the majority, in terms of church, support and dependence. Bishop Markham saw the need for a more deliberate and increased participation of women in the church, both at Parochial and Diocesan Levels. The focus of this group of women was prayer, reflection and devotion - women actively pursuing spirituality. Bishop Bernard Markham was described by Archbishop Drexel Gomez as a deeply spiritual person who spent many hours in prayer. Bishop Markham’s structure of the Anglican Church Women is a group of women that the Diocesan Bishop can call upon to assist with the work of the Diocese, which was in need of so much. Presently, very little has changed, as our Diocese is still in great need, and the Anglican Church Women still assist the work of our Diocese and work in our Parishes. One of the Organization’s main assistance to the Diocese is our Annual Contribution, known as the United Thank Offering, for projects named by our Patron. We know that the United Thank Offering has assisted with rebuilding and maintaining our Churches and Rectories throughout The Bahamas and The Turks and Caicos Islands. Funds also assisted with the training of our clergy and establishing a pension fund for our retired clergy. Thirdly, Bishop Markham’s vision was for the Anglican Church Women to be actively involved in Outreach within their local Parishes and in our Diocese. It was the wisdom of Bishop Markham to bring all groups in the parishes throughout the Diocese under one umbrella, which resulted in the first meeting with leaders of the Anglican Church Women Branches held at Addington House on Wednesday 19th August, 1964, beginning at 8:00 p.m. In attendance were Miss Louise McSweeney, President – Christ Church Cathedral; Mrs. Leona Hanna, President – St. Agnes; Mrs. Anatol Rodgers, President – St. Mary the Virgin; Mrs. Ethel Kemp, President – St. Barnabas; Mrs. Mary Doris Stevenson, President – St. Matthew’s; and Miss Gloria Wells, President – St. George’s. This meeting resulted in the idea to form an Anglican Church Women Council, which became a reality on Wednesday 4th November 1964. The first elected officers were: Mrs. Mary Doris Stevenson – President; Mrs. Leona Hanna – Vice President; Miss Louise McSweeney – Secretary and Mrs. Ethel Kemp – Treasurer. The functions of the Anglican Church Women Council are to unify, coordinate and to strengthen the work of the Anglican Church Women throughout the Diocese. Bishop Bernard Markham attended his last Meeting on 22nd April 1972, as he was returning to his native homeland. He asked the ladies to continue with their good work and to encourage other women to join the organization. Under the leadership of The Rt. Rev’d. Michael H. Eldon, the second Patron of the Anglican Church Women, the organization saw growth throughout our Diocese. In 1973, the Council, under the Presidency of Mrs. Gwen Turner, held its First Annual Conference, with a Mass of Thanksgiving at Christ Church Cathedral on Monday 10th December 1973. Afternoon and Evening Sessions were held at Holy Cross, Highbury Park. Speakers at this Conference were Canon Collingwood Cooper (Vicar General), Dr. Timothy McCartney (Sandilands Hospital Representative) and Mrs. Fish (Salvation Army Representative). This Conference climaxed with a Banquet at Sheraton British Colonial Hotel. The speaker for the evening was Mrs. Mary Doris Stevenson, the First President of the Council. Due to the success of the first Conference, the Second Annual Conference convened for three days. The Mass of Thanksgiving was held on Sunday 8th December 1974, at Christ Church Cathedral. Under the fifth Council President, Mrs. Miriam Dean, the conference was a pivotal point in the existence of the Anglican Church Women. The Third Annual Conference began on Sunday 7th December 1975 with a Mass of Thanksgiving at Christ Church Cathedral and the Afternoon and Evening Sessions were held at St. Agnes Parish Hall. Delegates came from the Family Islands and from our Companion Diocese in Las Vegas, Nevada. During this Conference, it was decided to change the date of future Conferences from December to May. During the seventies and eighties, successful conferences continued being held under the presidencies of Mrs. Ruth Boyd, Mrs. Rose King and Miss. Gwen French. During these decades, the organization experienced growth and accepted many challenging roles. The Anglican Church Women began Prayer Groups and many Outreach Programmes, such as Soup Kitchen, Visitation to Senior Citizens, Hospitals and Shut-ins in communities, irrespective of race or religious denomination. During Conference 1980, Council Members recognized the need to implement Closed Conference Sessions; therefore Morning Sessions were implemented in 1981. In 1986, Mrs. Miriam Dean, Past Council President, represented the Anglican Church Women at the Episcopal Church National Women’s Conference in Minnesota. This was a great honour for the Anglican Church Women. History was made in May 1987, when members of the Anglican Church Women throughout the Diocese travelled to Freeport, Grand Bahama for the first Family Island Conference. The response of this Conference was excellent and so rewarding that in 1990 the Conference was held in George Town, Exuma, in 1992. The Conference was held in Marsh Harbour, Abaco and in 1998 the Conference was held in Governor’s Harbour, Eleuthera. In the nineties, the relationships between the Episcopal Church Women (ECW) and the Anglican Church Women (ACW) was strengthened with the Dioceses in Nevada, California, Rochester, New York and Southeast Florida, by respective exchanges at Annual Conferences. In May 1999, Mrs. Marjorie Stuart organized a Thanksgiving Service for the Episcopal Church Women of Florida at St. Matthew’s Church. Over seventy women travelled to The Bahamas for this event and were treated to our warm Bahamian hospitality and Bahamian Delight in the Parish Hall of St. Matthew’s Church. 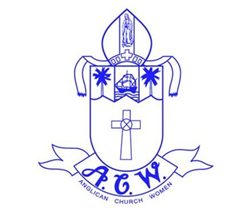 Today, representation of the Anglican Church Women at Annual Meetings of the Episcopal Church Women of the Diocese of Southeast Florida in April continues, after a brief absence. As the organization continued its growth, especially with younger members, the Anglican Church Women Council began sponsoring an Annual Leadership Seminar for Branch Presidents and Vice Presidents throughout the Diocese in 1999, and an Annual Young Ladies Seminar in 2004. There was also an increased in our Outreach at Council and Branch Levels, in addition to supporting all things Diocesan. Family Island Branches continue to host our Annual Conferences. In 2001 the Annual Conference returned to Grand Bahama under the presidency of Miss Kyron Strachan. Mrs Sandra Collie led Conference Delegates to Abaco in 2004 and to Long Island in 2006. In 2005, our Patron, Archbishop Gomez, mandated that Anglican Church Women revisit the vision of the Organization, and to revise our Constitution. Under the leadership of Ms. Inger Saunders, the first Conference outside of The Bahamas was held in the Turks and Caicos Islands in May 2008. Some 150 delegates participated in this historical conference in the Turks and Caicos Islands. Conference activities were held over three islands: Grand Turk for the Thanksgiving Service and Conference presentations; Salt Cay for a day trip, service and lunch; and Providenciales for a service and evening reception/dinner. This Conference brought the members and parishioners of the two countries closer, as we built stronger ties. Conferences hosted on the Family Islands give our Family Island members, who do not travel to Nassau Conferences, an opportunity to be a part share these Conferences, and to make life-long friends. In 2011, under the leadership of Ms. Deborah Ferguson, the Conference returned to Grand Bahama and witnessed an overwhelming response from the ACW membership. Over 750 members registered for the conference; over 600 persons participated in the Thanksgiving Service; and up to 300 members participated in the day and evening sessions and presentations. On Monday 27th April 2009, a group of members convened at St. George’s Church to form a women’s choir, under the direction of Mr. Adrian Archer. This choir debuted during the 45th Anniversary Service of the Anglican Church Women. There are seventeen choir members at this time, and others are welcome to join after Conference 2009. Beginning in May 2010, as a part of the Conference Activities, the ACW paid special tribute and appreciation to the work and contribution of past ACW Council Presidents who were still alive. At the Annual Prayer Breakfast, we were delighted to honor our second ACW Council President, Mrs. Gertrude Burnside, who is still very active and involved today; our fourth ACW Council President, Mrs. Gwen Turner under whose leadership the annual conference was begun; and Mrs. Rose King, who served as ACW Council President on two occasions: as seventh and ninth. At the Annual Prayer Breakfast May 2011, we recognized and paid tribute to: Mrs. Deidre Rolle, tenth ACW Council President; Mrs. Brenda Bain, our eleventh ACW Council President; and Mrs. Marjorie Stuart, our twelfth ACW Council President. At the Annual Prayer Breakfast 2012, tribute was made to Ms. Kyron Strachan, thirteenth ACW Council President; Mrs. Sandra Collie, fourteenth ACW Council President; and Ms. Inger Saunders, fifteenth ACW Council President and Miss Debbie Ferguson sixteenth Council President was recognized. During this year’s Annual 2013 Prayer Breakfast, it is our privilege to recognize the selfless efforts of some our Presidents mainly from the Family Islands. These Presidents served from six (6) to thirty-five (35) consecutive years. Heading this list is Catechist Aldine Wilson who served as President for 35 years at St. Peter’s Church, Bowen Sound, Andros; Catechist Faith Jones who served as President for 22 years at St. Augustine’s Church, Cockburn Town, San Salvador and Mrs. Mable Stubbs who served as President for 32 years at St. Stephen’s Parish, Fresh Creek, Andros. We thank all of our pioneers and leaders who have advanced the cause of this great organization over the years and continue to cultivate and see to its growth and ensure its posterity. At this year’s Conference, we are pleased to have as our guest and to make a presentation, Mrs. Gloria Clausell, First Vice-President (President Elect) of the Diocese of Southeast Florida. God continues to bless our organization. We are thankful to God for all of our past patrons, Bishops The Rt. Rev’d. Bernard Markham, The Rt. Rev’d. Michael H. Eldon, The Most Rev’d. Drexel W. Gomez. The ACW continues to serve its purpose of cultivating the spiritual development of its membership, the church and wider community, under its current Patron and Diocesan Bishop, The Rt. Rev’d. Laish Z. Boyd Sr. We ask God’s Guidance, Protection and Blessings upon Bishop Boyd and his family. We also look forward to working with him for many years to come. There is a wealth of information about the Anglican Church Women which is currently being documented and shared; the above only touches the surface. We welcome your knowledge on the branches, about their history, programmes and members to be compiled in a document.